File this one under: only for those who really, really care about the nitty-gritty of the box office. Ever since AMC announced its MoviePass killer Stubs A-List, a $20 monthly subscription plan which allows members to see up to three movies a week, there have been multiple logistical questions. Like, for example, how sustainable is it? After all, that’s the same accusation AMC repeatedly lobbed at MoviePass, and similar to MoviePass A-List will operate at a loss for at least its first 6 months. But there’s a bigger question at play here: how much money do the studios stand to make or lose from all of this? A quick refresher might be in order here. According to the Yale Journal on Regulation, “Since the 1970s, at any given movie theater, one price has been charged for all movies, seven days a week, throughout the year.” Prior to that, the studios simply owned all of the theaters and set their own prices. Congress made them change that. In modern times, the relatively recent adoption of IMAX and 3D has allowed the theaters to introduce new premium pricing tiers, but for the most part, the system has remained unchanged for going on 50 years now. We pay the same price to see a blockbuster like Jurassic World: Fallen Kingdom as we do an art house movie like Leave No Trace. Lacking any grand disruption to the system, the theaters and studios have fallen into a reliable agreement to split all ticket sales 50/50. Occasionally, the studios will use an especially anticipated blockbuster like Batman Returns in the early 90s or Star Wars: The Last Jedi last year to strongarm the theaters into giving up a bigger piece of the pie. For the most part, though, the split stays 50/50. The ironic thing is neither party is overly dependent on direct profits from ticket sales. Food and drinks are quite famously the true lifeblood of the movie theater business. Ticket sales are just the excuse to get the people in the door. For the studios, a movie’s theatrical run is just the opening argument in a years-long campaign to squeeze as much money as possible out of a carefully planned series of exclusive windows – first theaters then home video then premium cable then cable then broadcast TV, with streaming thrown somewhere in there. So, the two need each other to advertise their true core product: concessions (for theaters) and a desirable film library (for studios). None of that really works if no one actually goes to the movies, and the recent downturn in overall attendance isn’t something which can truly be masked through ticket price increases. After all, fewer actual people in the movie theater lobby means fewer boxes of overpriced popcorn sold. Since concessions account for nearly 40% of AMC’s annual gross profit, any move toward shoring up attendance is all the more understandable. The first “event” film to open at regular admission prices. But how does a subscription model actually work in an industry which has enjoyed a la carte pricing since the days of The Godfather? 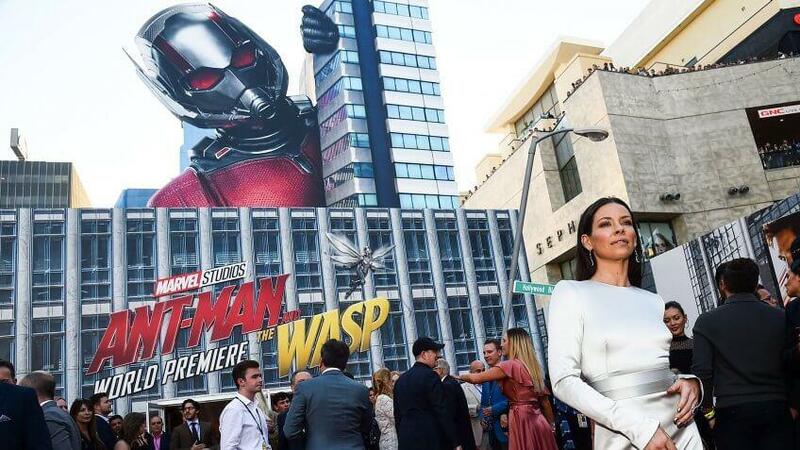 For example, if someone uses A-List to see Ant-Man and the Wasp three different times this week – once in IMAX, once in plain old 3D, and one in standard 2D – what exactly is Disney’s cut from that? The hangup for studios is that A-List pays studios a cut of admissions using a ticket price of $8.99. The problem? A-List members are probably going to see films in deluxe formats (since it doesn’t cost extra), which carry a higher price. In fact, AMC’s average ticket price was $9.32 in 2017 ($9.68 in domestic markets), with deluxe offerings in big-city markets being much higher. So studios will make less from a person seeing a film via A-List than if they’d seen it without the program. AMC justified choosing the $8.99 by saying that is the figure used by the new monthly plan of rival Cinemark, which offers only one film per month and 20% off concessions (with unused tickets rolling over to the next month). The catch: Cinemark’s average ticket price in 2017 was only $6.48 ($7.71 domestic), as it operates in smaller markets than AMC. For now, the studios are going along with it, but in success, A-List could be heading for some pushback. It’s all inevitable, really. As University of Arizona law professor Barak Orbach told QZ.com last month, “[This new subscription model] is by order of magnitude the most significant change in the history of the ticket pricing.” MoviePass has forever disrupted audience behavior, but since it’s a third party which subsidizes consumer’s monthly purchases at a traditional brick and mortar business the old flow between theater and studio remained unchanged. Now that AMC is jumping into the game it raises the kinds of questions about ticket prices and profit sharing we haven’t had to ponder in decades. The ultimate goal, obviously, is to inspire more people to go out and see movies. That used to mean fine-tuning marketing campaigns, hiring better people, responding more to what audiences actually want. Now, it means offering customers a deal which truly is too good to be true. As long as enough of them refuse to take advantage of the offer, the effect will continue to be neglible. But if this takes off theaters and studios will have to figure out a new way of sharing profits.